We are delighted to host the Significant Seams team who will be leading this month’s skillshare which commences at 7pm at the Hornbeam Centre. Significant Seams are working to deliver the GROW initiative which is linked to and inspired by Oxfam and the Craftivist Collective, and which brings together the pleasures of jam-making and embroidery with political activism. What can you expect from the evening? Well, there’s not enough time in an hour to actually make jam but the ladies from Significant Seams will be bringing some with them that you can take home for a donation. We will learn all about GROW and it’s aims, we will learn the theory of jam-making and have the wonderful opportunity to stitch our own protest slogan on the jam-jar cover. 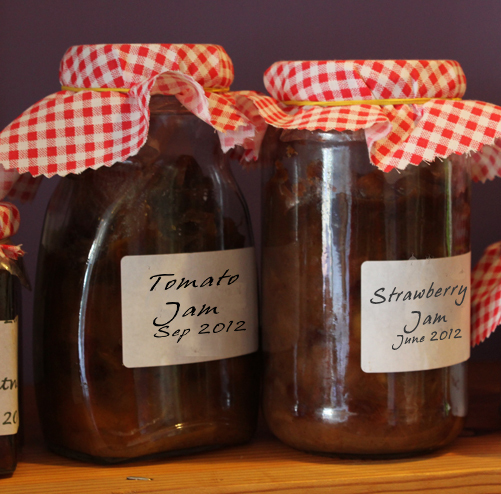 This is a great way to meet like minded people and learn new skills and you go home with some home-made jam at the end of it. Then at 8pm we’ll have a cup of tea and a chat, and around 8.30 you are welcome to join the Steering Group in discussing future activities. Please note that Transition Walthamstow’s regular meetings have now moved from the 2nd Monday to the 4th Wednesday of each month.